HYDRALAB brings together European researchers and stakeholders to improve experimental research focusing on adaptation to climate change. Countries worldwide are being faced with the severe consequences of climate change: sea level rise, extreme river discharges, more frequent storm events, and more wave and river-flow impacts on their coasts and riparian margins. To be prepared for the future, new knowledge from experimental hydraulic and environmental research is needed to design sound climate change adaptation solutions. HYDRALAB bridges the gap between scientists, manufacturers of hi-tech measurement technics, policy makers and end users who can rely on the projects’ results. DHI, Denmark is organising a training cour for next generation researchers on the subject of Processes and Modelling in Coastal and Estuarine Environments. The course will take place in week 26, 2019. It will cover 6 days from Monday 24 June with arrival on Sunday before. The course will conclude on Saturday 29 June 2019 at 13:00 at the Danhotel, Havnegade 2, Rødbyhavn, Denmark. 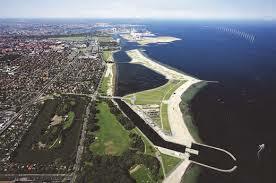 The course has its focus on natural and man-made sediment dynamics in the lagoon, including possible effects coming construction of the nearby submerged Femern Tunnel between Denmark and Germany. If you are interested and would like to sign up, please contact Anders Wedel Nielsen, awn@dhigroup.com, phone +45 4516 9299. Deadline for signing up is 13th of May 2019. Use the online application form to apply for the course. Travel costs up to EUR 400 per person can be reimbursed. You can also download the full programme below.